Take clear night skies and willing regional townships, add a sprinkle of stardust and what have you got? Astrotourism towns. When was the last time you found yourself outside after dark, gazing at the heavens, lost in the rapture of the night sky? And I’m not just talking about a quick glance skyward while you walk from the taxi to the pub. Has it been a while? You’re not the only one. Some people believe our increasingly city-based, busy and indoor lifestyles are robbing us of the psychological, spiritual and emotional benefits of time spent contemplating the heavens above. And even if we are outside after dark for some soul searching and stargazing, we often find light pollution has dulled the stars’ brightness. But one women wants to change all that. 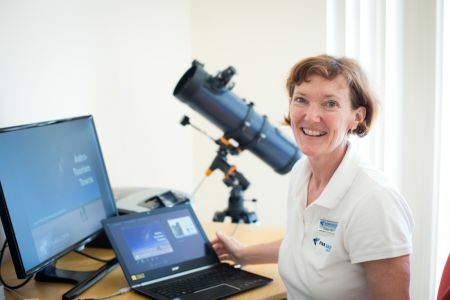 Carol Redford sees Western Australia’s potential to become world renowned for its night skies. As such, Carol is recruiting regional and outback townships to become the first astrotourism towns in the country. Already, four Mid West townships have signed up: Morawa, Carnamah, Three Springs and Perenjori. And 18 other towns are interested. Those who’ve signed up have pledged to work with Carol to limit light pollution and earmark ideal sites for stargazing and astrophotography. WHAT’S THE BIG DEAL ABOUT the DARK? 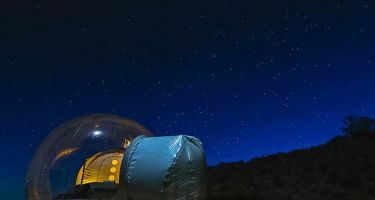 So is astrotourism really ‘a thing’? You betcha, says Carol. She says escalating light pollution around the world means places with dark skies are becoming increasingly revered. 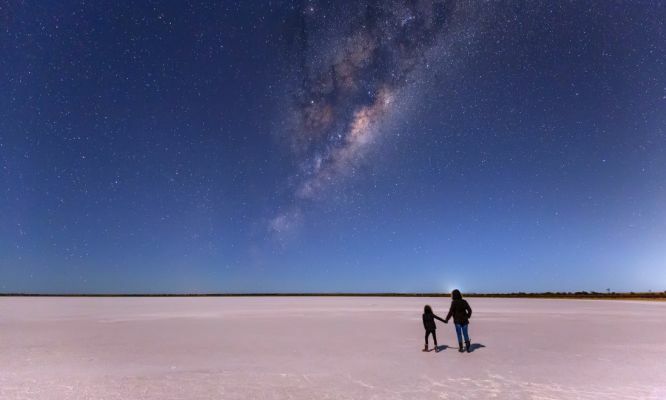 WA is already recognised for having some of the world’s darkest skies. 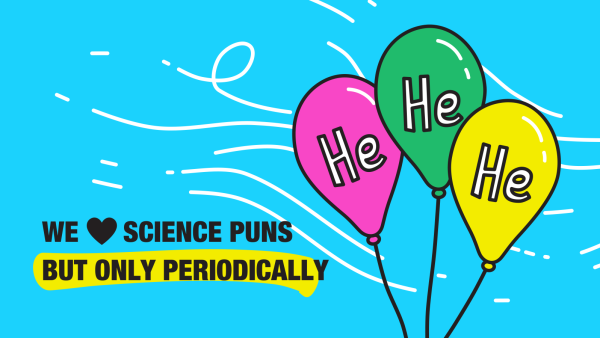 And Carol says we humans can experience untold benefits from dark nights—from better sleeping patterns to the psychological benefits of stargazing. “Stargazing is beautiful and awe-inspiring and mysterious,” Carol says. Carol envisages a network of astrotourism towns luring people from the city with the promise of inky black night skies and mesmerising displays of stars. 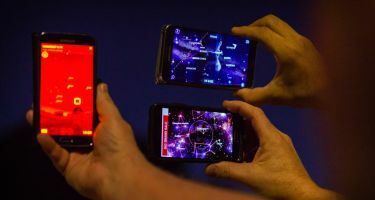 “We’ll have maps showing which towns are part of the network, with sites highlighted for stargazing and astrophotography,” Carol says. Carol also sees potential for ‘glamping’ accommodation providers and for Aboriginal cultural tours linked to the astrotourism towns. 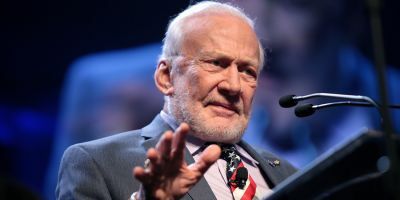 …and astrotourism towns could provide glamping accommodation. Bubble tents anyone? Who knows? One day, WA may have its very own internationally accredited dark sky communities registered with the International Dark-Sky Association. So what does a town have to do to stay dark? Easy, says Carol. It can be as simple as swapping bright white outdoor lightbulbs with warm or amber-toned bulbs and ensuring street lights are shielded so that their light points down rather than spraying up into the night sky. This not only keeps the sky dark but also requires less power to light the streets below. “The towns who’ve signed up will work with me to protect their night sky and keep it dark,” Carol says. Among the early astrotourism town adopters is the Mid West township of Morawa. The shire’s economic development manager Ellie Cuthbert is excited about the potential to attract new tourists and lessen dependence on wildflower tourism following good rains. “Great night skies don’t need maintenance, and they are not dependent on good rain—you just need to protect them,” Ellie says. With towns already signing up, it hopefully won’t be too long until we’re all gazing at the heavens once again. 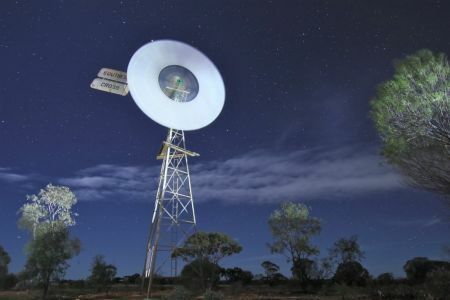 For more information on astrotourism towns, check out the website www.astrotourismwa.com.au. 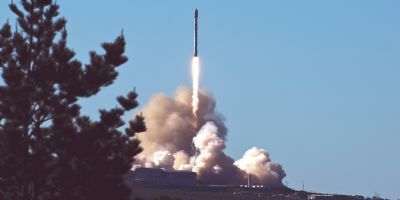 It’s been almost 9 months since the Australian Space Agency was announced. So how is everything going?